Note from the WMP Team: In the coming days, WMP will republish Vera Sharav’s “Betrayal of Public Trust & Institutional Corruption: Vaccine Safety Assessments & Vaccine Science Falsified to Support Vaccination Policy” originally published on the website: Alliance for Human Research Protection. Ms. Sharav is a Holocaust survivor and a fierce critic of the medical establishment. Her research is a must-read by those in our community because it explains the intricate groundwork that has led us to the debacle we are now living with – an epidemic of sick children. Through understanding the past, we can change the future. Following is the first of a seven-part series of Sharav’s in-depth exposé of the complex and widespread corruption that exists in the vaccination program. Her investigation has uncovered decades-long fraudulent activity that has permeated the vaccine industry. “Indeed, the adjudicated evidence refutes the case against Dr. Wakefield; the documents and testimonies demonstrate that there is no evidence whatsoever, to support the charges of professional misconduct, much less the accusation of fraud. 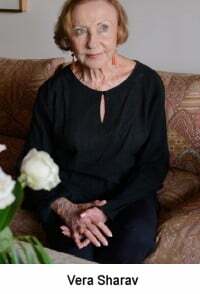 More about the author: Vera Sharav is a Holocaust survivor and a fierce critic of the medical establishment. Stat news recently published an article about her and her work.